Where did Lyon come from? Way back in 1965, Ben Lyon, aided by engineer brother Graham, started making caving ladders. The name 'Lyon Ladders' was registered in 1973. In the same year Ben, with Mike Meredith, took a party of cavers to France and called in on Fernand Petzl's 3-man workshop. Mike started imports to the UK, handing on to Ben's business in 1974, making 'Lyon' the first overseas Petzl distributor. The next move was to change our name to Lyon Equipment. "Adding staff of exceptional quality has allowed us to develop an unrivalled range of gear and techniques for tackling every type of play, work, and rescue at height. (And other places too!)" 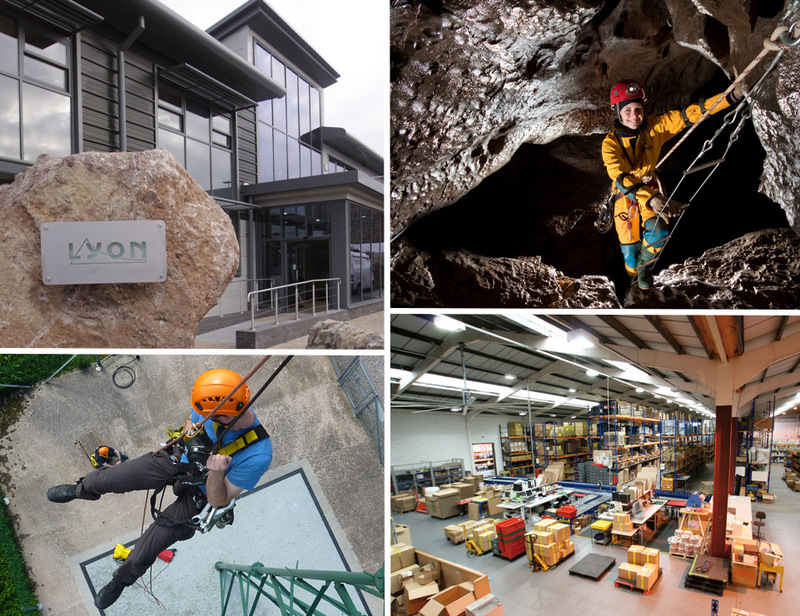 Today, with even wider scope to our activities, you may find yourself talking, under the banner of Lyon Equipment Limited, to Lyon (Manufacturing), Lyon (Outdoors), Lyon (Cycle), Lyon (Watersports), Lyon (Work & Rescue), Lyon (Training) or the Petzl UK Agency – a division of Lyon Equipment set up solely to manage the supply of Petzl product in the UK and Ireland.......... and after all this time we still make caving ladders! What is Lyon Equipment Limited today? The Company is still led by Ben Lyon acting as Chairman along with a team of Directors; Carol Nicholls Managing Director (Commercial), Jonathan Capper Managing Director (Technical), Tina Benson - Finance Director, Frank Bennett - Director and Paul Cornthwaite - Sales & Marketing Director. We have a talented staff of over 90 with a wide range of skills and knowledge, and an annual turnover in excess of £14 million. Click to view our Health & Safety Policy, Environmental & Sustainability Policy and our Quality Policy.